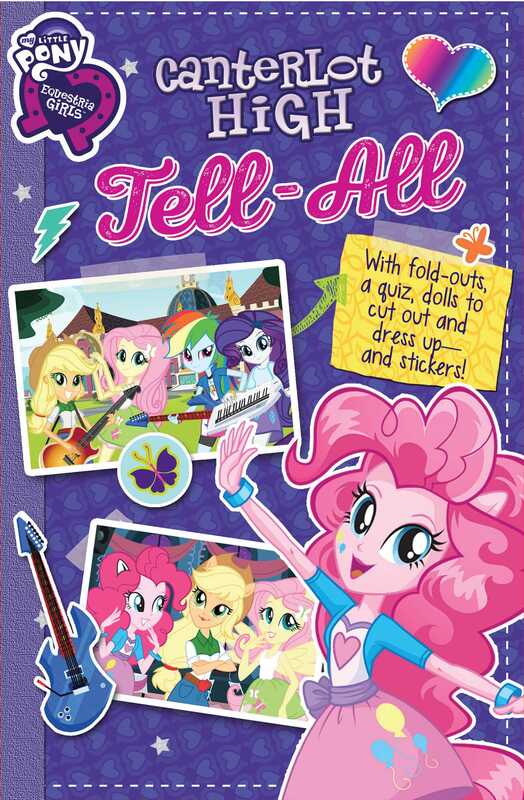 Pinkie Pie, Rainbow Dash, Rarity, and the rest of the girls from Canterlot High are all featured in this tell-all book about their likes, dislikes, friendships, activities, and more! Want to know what's on the minds of the most popular Equestria Girls of Canterlot High? You can find out when you read this funny book, "written" in the girls' own words. Their secret hopes, fears, and thoughts about themselves and each other fill the pages, along with tons of drawings and doodles. There are flaps that reveal some surprises, stickers to add pizzazz, and write-in activities for girls to express their own thoughts and feelings, too!